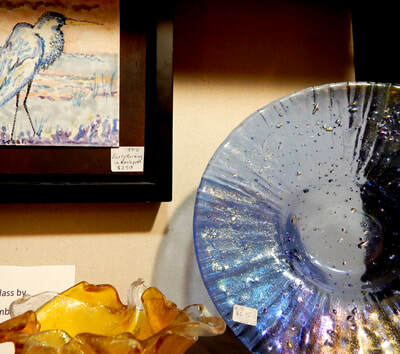 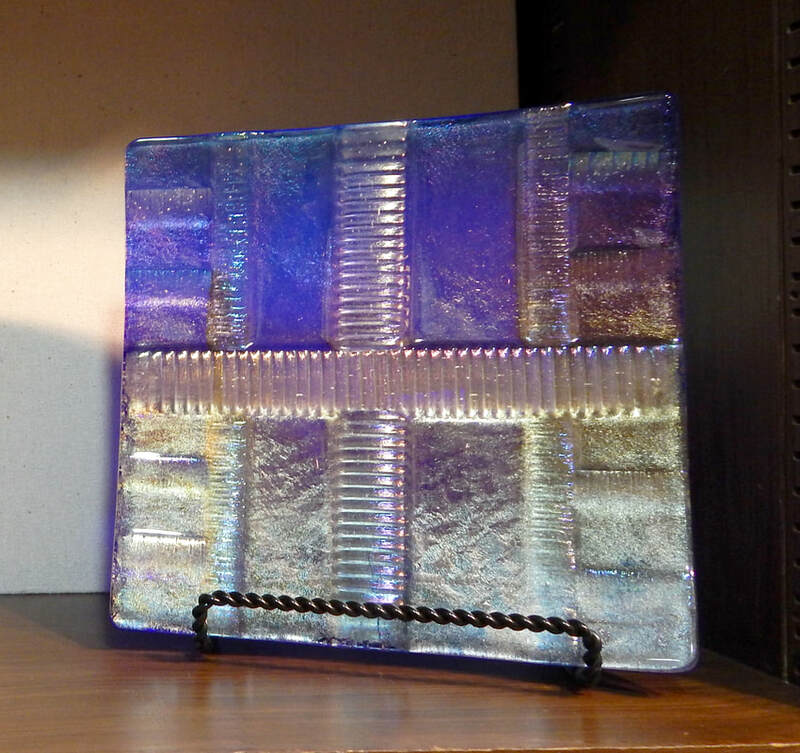 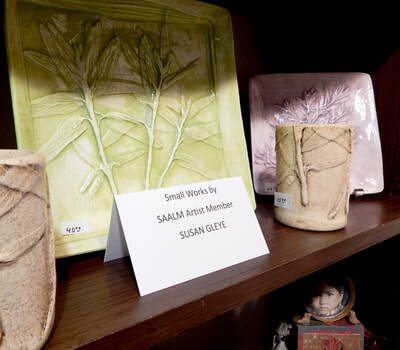 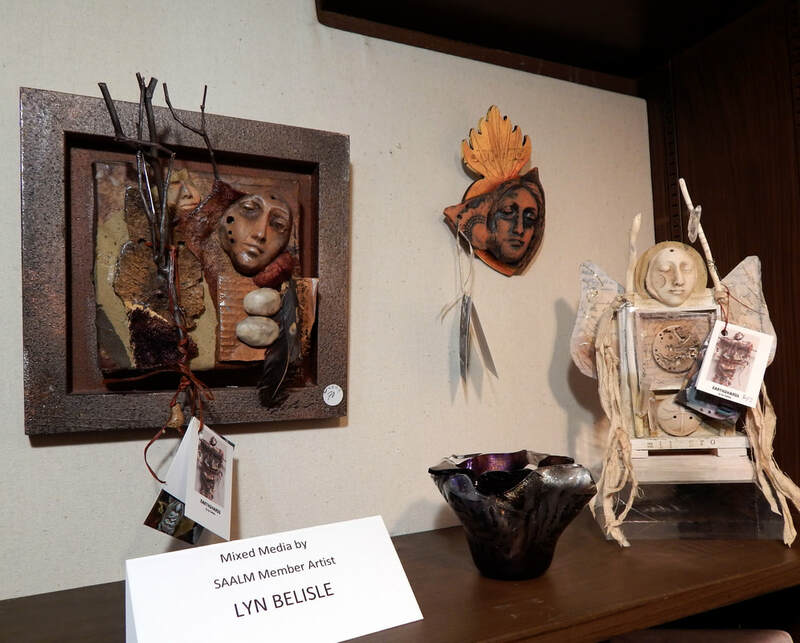 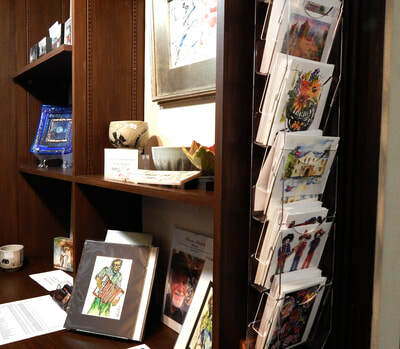 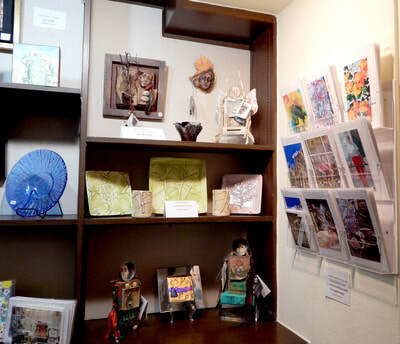 Our SAALM Small Works Gift Shop features artisan quality items you won't find in retail stores. 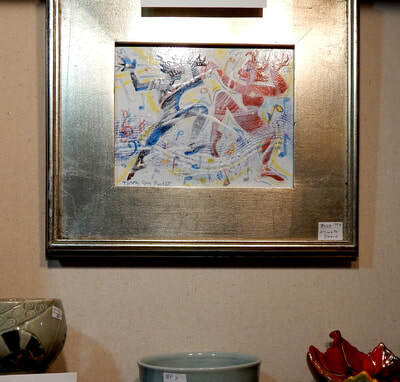 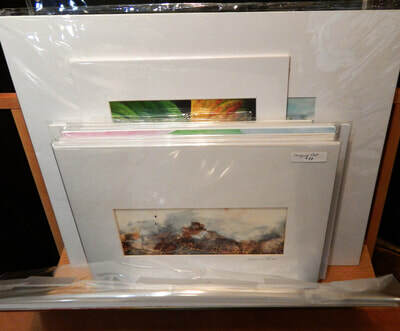 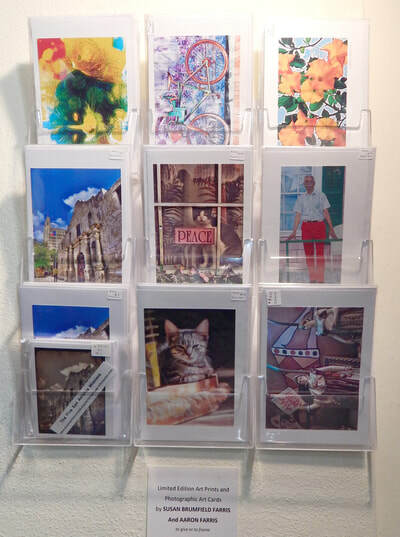 Quality, not quantity, makes it easy to choose that special small artwork for every person and for every budget. Each item is created individually. 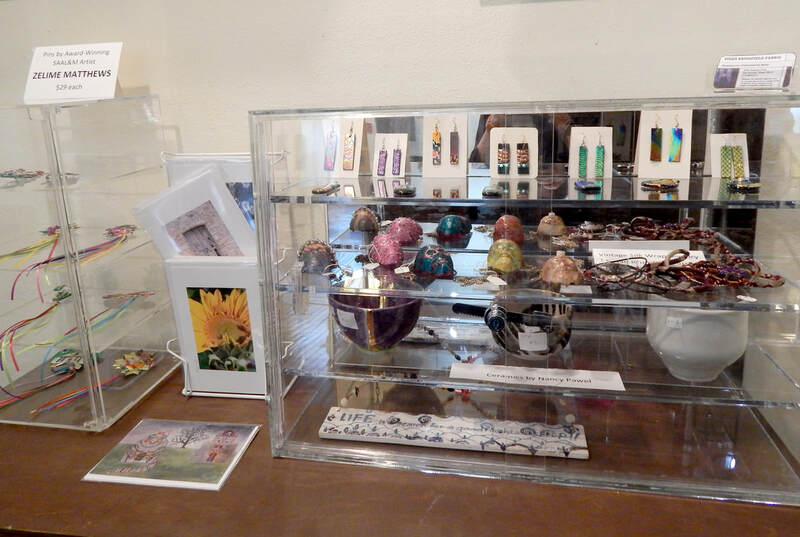 Jewelry components are hand-made by the artist, glass and clay works are hand-built and fired, artisan cards are based the artists' original works. 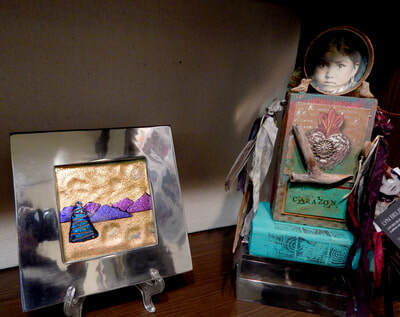 Items change often. 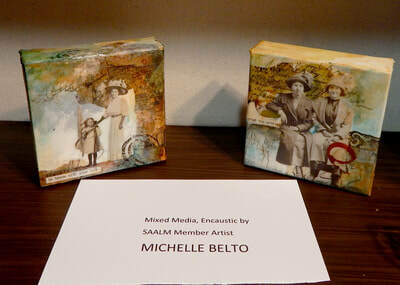 Here are some of the current Small Works by our SAALM member artists. 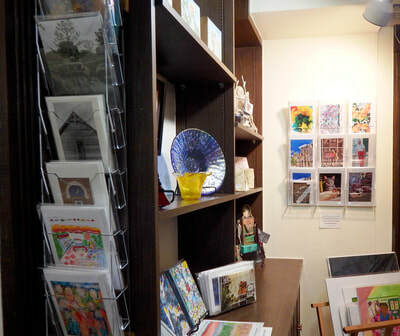 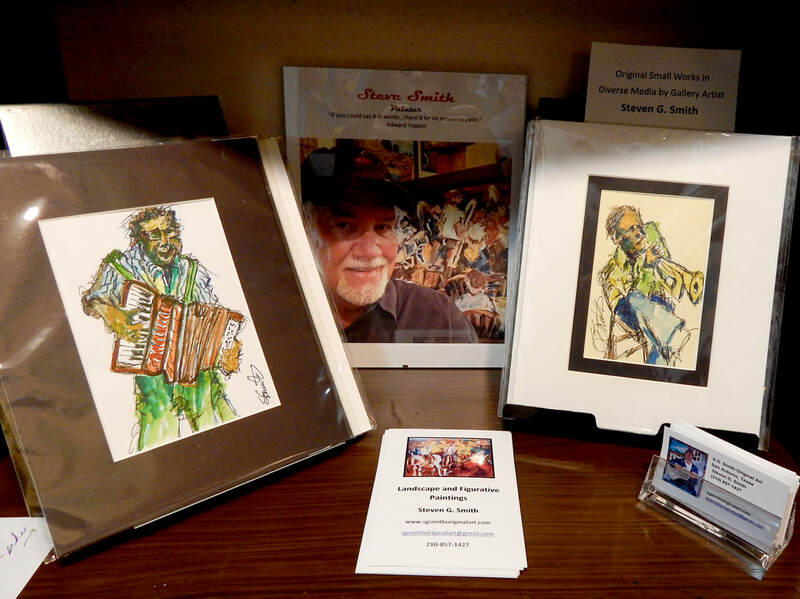 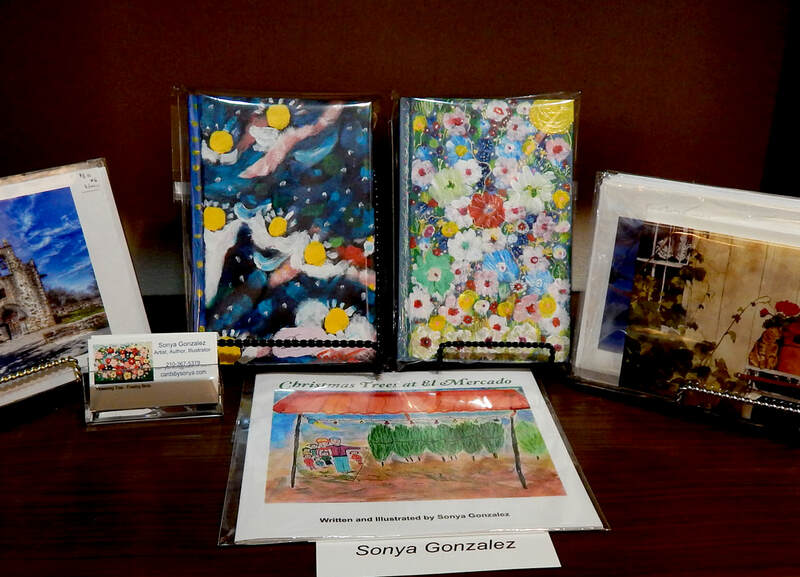 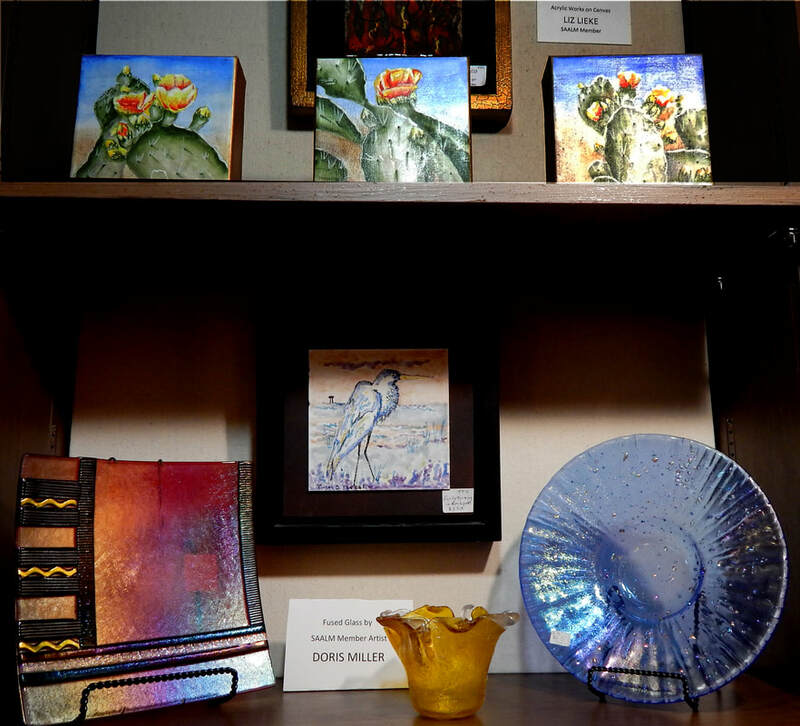 The Small Works Gift Shop is located in the center gallery on the ground floor and is open during regular San Antonio Art League & Museum hours, 10-3 Tuesday through Saturday, and during exhibit openings and special events. For more information, please contact Dona Walston, our SAALM Small Works Gift Shop manager and curator.